EVERY FIELD has its major award and corresponding event to celebrate those awards. The Emmys the Oscars, the Olympics. 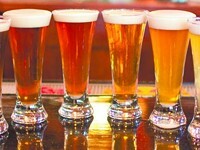 In the world of beer making, that event is the Great American Beer Festival (GABF). Organized and founded in 1982 by the Brewers Association of America, GABF was the brainchild of craft beer and American home brewing’s godfather, Charlie Papazian. Back in 1982 the festival hosted 22 breweries. The 2018 edition was a little larger as it featured 800 breweries, reflecting the growth in craft beer over the past three decades. The number of breweries allowed to participate is capped at 800, but the festival continued to grow this year as it hosted 62,000 ticketed participants, 2,000 more than 2017 and featured 400 more beers. The GABF is a great party but the enduring legacy of each year’s event is the beer competition in which breweries from around the country compete for a Gold, Silver or Bronze medal in a variety of categories. Each category —102 this year, plus a few extras to cover collaboration beers— was judged by 293 judges. 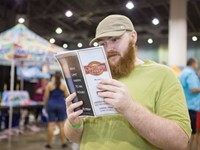 This year’s competition featured 2,404 breweries who submitted 8,496 beers. With 102 categories that come out to an average of 83 beers for each category. Sure, some categories received more entries (Hazy IPAs had 391 submissions), but with only 306 awards being given total that still means a lot of breweries went home empty handed. Of the breweries that didn’t go home empty handed, four were from Georgia, down from 2017’s record eight Georgia Awards. 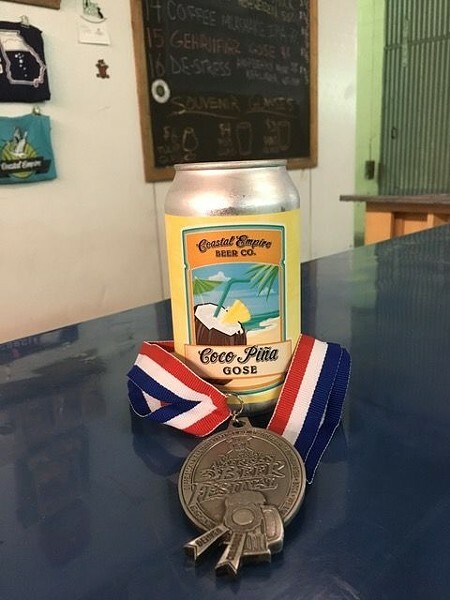 One of those four breweries is Savannah’s own Coastal Empire Brewing Co. Coastal won a Silver award in the Field Beer category for their crowd favorite beer Coco Piña. I spoke with Coastal Empire Brewing Co.’s cofounder Chris Haborak about the win and the winning beer, Coco Piña. What was winning another GABF medal like? Winning our second GABF medal is a incredible feeling. [In 2014, Coastal won a Bronze Medal in the Herb and Spiced ale category for their Dawn Patrol Imperial Molé Stout Beer.] There were 90 entries in the Field Beer category and to have Coco Piña recognized as the second best beer in the category, well it just put us on cloud nine! Kevin [Haborak, the other cofounder of Coastal Empire Brewing Co.] and I were not able to attend this year due to our responsibilities here so I was actually watching TV with my wife Amy when Nancy Palmer [Executive Director of Georgia Brewers Guild] texted me, “You won! Are you here?” ... Me “Wow!! !” ... “For what?” ... “Coco Piña” “No we are in GA. You can go accept for us!” And that is what Nancy did. Later she let us know that she was going to send the medal home with the Service guys since they were able to make the trip out. What prompted you to send Coco Piña? Coco Piña is our second best seller overall and we thought it should perform well in the Field Beer category due to the prominence of coconut on the palate. This is Coco Piña’s second medal in International Beer competitions as it won a Silver in the Best of Craft Beer Awards in Bend, Oregon, 2016. What exactly is the Field Beer? The Brewers Association (BA) defines the Field Beer Category as all beers made with coconut. That is why the three beers that received medals were so different from each other: Gold- Cool for the Summer Saison by Lakes & Legends Brewing, Silver-Coco Piña Gose Coastal Empire Beer Co, and Bronze- Hawaiian Lion Toasted Coconut & Coffee Porter, Big Top Brewing. Tell me about your perspective on Coco Piña. What should one expect from it? Coco Piña, to me, reminds you of the tropics both in aroma and taste. The blending of the pineapple, coconut, pink Himalayan salt and sea salt with the tartness derived from the lactobacillus creates a very unique sour that brings you to the beach no matter where you are! We celebrated at the brewery on Saturday at our Oktoberfest event. We had a blast being able to celebrate with our team as well as several of our customers and fans. Being that it is a German Style beer was icing on the cake! We can’t leave out the other Georgia Breweries winners; Red Devil, brewed by Printer’s Ale Manufacturing Co. won a Bronze medal in the “Other Belgian-Style Ale” category, Willett Barrel-Aged Ye Old Sprinklerhead Barleywine brewed by The Wrecking Bar Brewpub earning them a Silver in the “Wood- and Barrel-Aged Strong Beer “category, and a Bronze for Orpheus Brewing in the “Belgian-Style Lambic or Sour Ale” category for I Am Only Memories. Coastal Empire Brewing Co. is at 79 Ross Rd and online at http://coastalempirebeer.com/ Make sure to check out their Facebook page too, something is always going on at the brewery. Coco Piña is available in cans and on draft around town and at the brewery. 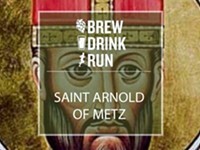 Brew/Drink/Run Great American Beer Festival Coastal Empire Brewing Co. 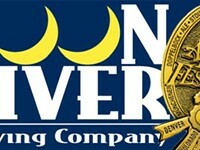 Speaking of Great American Beer Festival, Coastal Empire Brewing Co.